« Bonus Advent devotional: Is Jesus a threat to your kingdom? Can we trust that God knows what he’s doing? I wouldn’t quite put it that way. Talk of “blame” is inappropriate because God knows best, and what God allows or causes is for the best, whether we see it that way or not. Still, I agree with his logic. If anything happens in the universe, it happens according to God’s will. 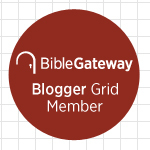 As I’ve shown many times on this blog, this is a logical consequence of our belief, first, in the authority of scripture, which strongly affirms God’s sovereignty over the world, but also in power of prayer: God allows our prayers, in part, to shape the world. I used to resist this logic, throw up my hands, and say, along with many clergy colleagues, “It’s all a mystery!” until I read C.S. Lewis’s book Miracles—specifically, the appendix of his book. Since God foreknows what we will pray for not only before we pray but also “before all worlds,” he has already factored our prayers in, along with human free will, before he creates the world and as he governs it. Lewis’s point is that we’re often praying for things that have, in one sense, already happened (because, even if the event hasn’t yet come to pass, the necessary sequence of events leading up to it is already set in motion). The following question may be asked: If we can reasonably pray for an event which must in fact have happened or failed to happen several hours ago, why can we not pray for an event which we know not to have happened? e.g. pray for the safety of someone who, as we know, was killed yesterday. What makes the difference is precisely our knowledge. The known event states God’s will. It is psychologically impossible to pray for what we know to be unobtainable; and if it were possible the prayer would sin against the duty of submission to God’s known will. Sin against the duty of submission to God’s known will. Is C.S. Lewis, surely one of the greatest Christian minds of the twentieth or any other century, really saying that if something happens at all, it happens according to God’s will? Yes, he is. And that last sentence alone caused me to rethink my understanding of God’s sovereignty and providence. Maybe I should have re-thought it before then (this was only four years ago), but there you are. One objection, which some of my readers have already formulated, is the necessary relationship this implies between God’s will and evil. God is good. God doesn’t cause evil. God hates evil. In the cross of his Son, God has defeated evil, and on the other side of the Second Coming, he will destroy it entirely. Yet, if Lewis is right, then God wills even evil to happen. Surely that’s not right, is it? No, it is right! God isn’t causing evil, but he is allowing it. And if he’s allowing it, he’s allowing it for a good reason. To understand why, we have to understand the difference between God’s antecedent will and God’s consequent will. God’s antecedent will is what God wants in a world without sin and evil—before the Fall. God’s consequent will is what God wants in the world in which we live—in a fallen world. For someone who objects to the idea that God wills evil events, I must ask: What choice does God have? Do we or don’t we like our creaturely freedom? If we think creaturely freedom is a good thing (and I certainly do) then we have to accept its consequences: freedom for us means the freedom to sin—the freedom to choose evil. God didn’t force humanity to rebel against him. Given that we have, however, what would you have God do? I would have God work within this new context to bring good out of evil events in order to accomplish his purposes. By all means, God wanted humanity not to sin, but not at any expense: not at the expense of freedom. He wanted humanity not to sin, but he wanted us to be free to choose sin more than he wanted to create a world in which that choice was impossible. All that to say, I loudly affirm this recent blog post from the Desiring God website. The author writes that she thought for years that if she knew the reasons why she suffered, she would be satisfied. But she was wrong. What she needed instead was the assurance that God had a good reason, and that she should trust him. She points out, rightly, that this is the main message of the Book of Job. I’ve said this before: We are finite. God is infinite. Why should we always (or usually) expect to know the reasons that some bad thing is happening? Why should God’s reasons not be like that? The only difference is that our heavenly Father, unlike a human parent, is all-knowing and perfectly loving, and the difference between what God knows and what we humans know is infinitely greater than the difference between human parents and children. Again, the answer is to trust that God knows what he’s doing! This entry was posted on	December 15, 2015 at 4:50 pm	and is filed under Uncategorized. I basically agree with this. We can’t know all the reasons why things happen, and we have to trust that God is loving and knows best. As a general matter, though, I believe we can know that God “knows in advance” what everyone’s heart is (or will be) like, and then orchestrates all events to bring out the condition of each one’s heart, and also to accomplish his redemptive purposes. Thus, God “placed” Pharaoh against Moses, Jacob against Esau (Romans 9). God “hardened” Pharaoh’s heart in the sense that, being faced with Moses’ demands (God’s initiative), the “hard” nature of Pharaoh’s heart “came out” (as opposed to God “flipping a switch” in Pharaoh to “get harder”). From that scenario, God accomplished the redemptive purpose of rescuing the Jews from slavery and bringing them into the Promised Land. So, while we still don’t know the “why” of each incident of the moment, we can “trust God” that he is working (a) to bring out of people what they are “actually like,” and (b) to bring redemptive history through its various stages. “In the fullness of time, Christ came.” Thus, I think we don’t have ONLY, “This is utterly mysterious,” but an understanding that, at least in part, God is “testing each man’s heart” (as he did with Abraham when he was told to offer up Isaac) (“For out of the heart come the issues of life”), and, presently, bringing history to its redemptive close. Each of us is like a different shaped piece of a jigsaw puzzle. We can’t know “why” we’re shaped the way we are until the puzzle is finished. And this might also apply to individual events. The point is, there’s a finished picture that God has in mind, and each of us (freely) does our part to complete it. I agree with that good statement of the situation. My life story is filled with blessings I did not deserve and sufferings I did not understand. It has spun out a story that is uniquely mine. For this I am so thankful. God has a life story for each of us. We are each “one of a kind”. And, at the end of the story, God will gather us (his children) into an eternal relationship with Him, and with one another, that will make us forget this short Earthly time. Very well said, Grant! I can say the same thing.